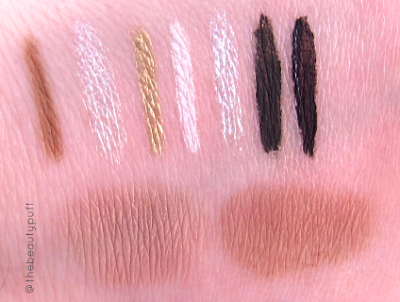 If I had to choose one category in the realm of makeup to indulge in, it would be eye products. I've always gravitated toward these areas in stores, online shops, you name it. It's the first section I check out when scoping out a new brand. 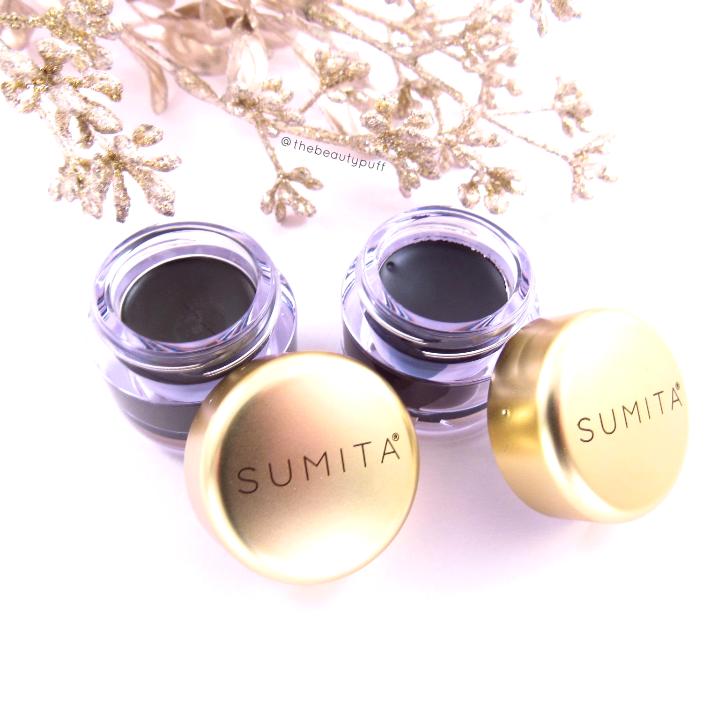 So I was really excited when I found Sumita Cosmetics, because eyes are all they do! Brow products, brushes, eyeliners, mascara you name it. They focus on enhancing your eyes and giving you high performance products that last all day. I can't even name a favorite because I love everything I've tried! 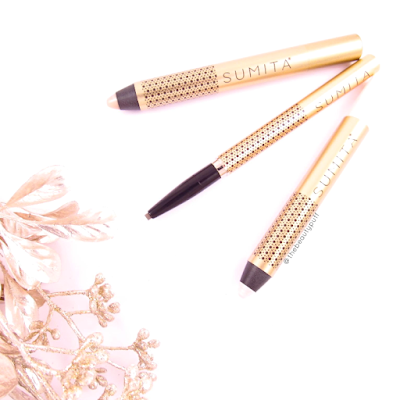 We'll start with the most prominent area Sumita focuses on, and that would be brows. They offer everything you need to shape, define, highlight and groom your brows to perfection. The above photo shows their brow wax, pencil and highlighter. I love the convenience of the brow pencil for a sweep-and-go application. It takes very little effort and looks really natural. It is an easy to use twist-up design which is ideal for travel. To hold it all in place, their wax is absolutely fantastic. It's smooth, clear and doesn't feel heavy once applied. It's probably the best brow wax I've ever tried. For a little brightness (or a lot- you choose! ), their highlighter is phenomenal. You can use this product on your brow bone or any area on the face that needs additional brightness. I simply apply a small amount and blend with my finger tip. It's an all-in-one convenient, creamy formula that's perfect for any time of year. If you lean more towards a powder for your brows, Sumita has you covered there as well. Their brow powder duos have two complimentary shades. They come in light, medium and dark. Pictured above is light. I may try the medium at some point but I found this to give a very natural shadow which I prefer as opposed to a bold, defining look. Personal preference. Whichever shade you choose, you can apply and blend beautifully with their Multi-Task Brush. This brush features a comb, brush and angled brush to groom your brows and apply the brow powder easily. This is probably the prettiest brow brushes I've ever owned. To line and define your eyes, you can never go wrong with gel eyeliner. 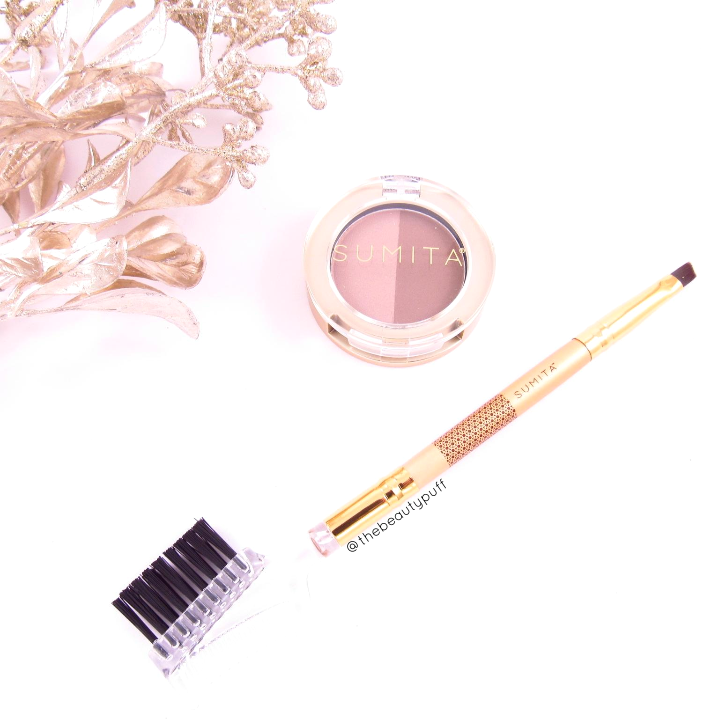 Sumita's formula is smooth, creamy and a breeze to apply. Their colors include black, green and brown. I have black and green and they are both gorgeous, and perfect for this time of year. The green is a really deep so it's very wearable. I actually used the angled end of their Multi-Task Brush for applying these liners and it worked very well. They do make an Eyeliner Brush if you prefer an alternate style. Overall I was very impressed with the pigmentation and wear of these liners. I don't often go for gel eyeliners, but these have me reaching for them more often than I expected! When your brows are set and eyes are defined, it's time for some brightness. 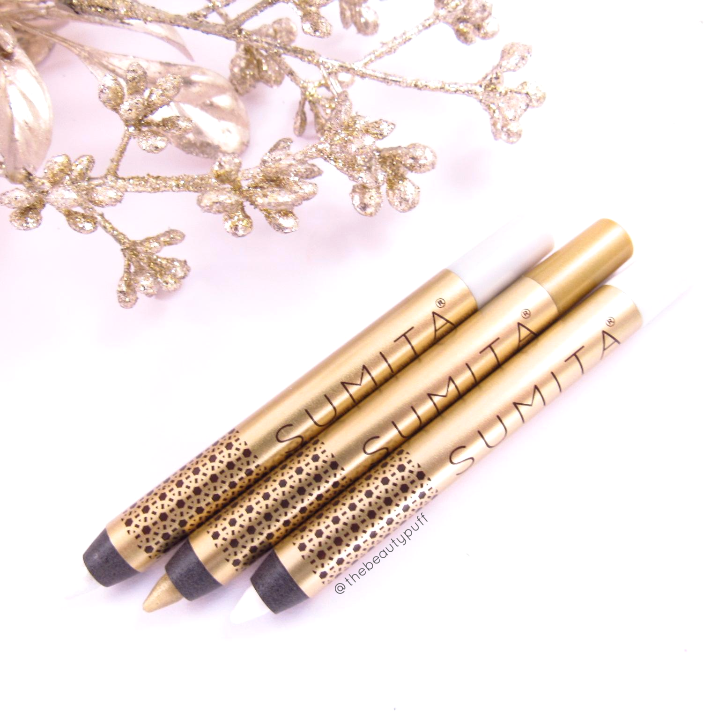 Sumita's Mini Eyeliner Pencils pack a punch with pigmentation and longevity. The set I have is the Lights set which comes with Silver, Gold and White. I was blown away by these little liners. They glide on effortlessly, have intense color payoff, last all day, and look absolutely stunning with festive holiday looks (or any look for that matter). I've been wearing a lot of gray shadows lately and let's face it, they can look a bit dull or dark after a while. I used the silver liner from this set in my inner corner and I am stunned every time I put it on. I get an instant brightness to my eyes that catches the light at every angle. Each of these shades has come in handy regardless of the color shadows I choose. If you prefer deeper tones, the Darks set includes Black, Brown and Midnight Blue. These are becoming fast staples in my collection, I absolutely love them! You can't go wrong with any of these products by Sumita Cosmetics. If you are looking for a gift for someone, I highly recommend the Mini Eyeliner Sets! Just look at those colors!